March 26, 2019 by Allie Bittner	in tutorials. It’s natural to come up against some imposter syndrome when it comes to creating a personality quiz. Afterall, the quiz you build should reflect your expertise, but quizzes can get a bit technical. You don’t want your audience to walk away feeling like they were given some regurgitated rap name generator result. Fortunately, you don’t have to be Sigmund Freud to speak to your audience through a personality quiz. Mega-influencers have widely popularized quizzes as a resurging option for lead generation. The best examples are captivating, fun, and on-brand from start to finish. I went for a personality quiz for the same reasons so many do: it’s different, it’s easy, and it’s entertaining. In theory, it’s so straight-forward. In practice, it’s not so simple. Finding the right tool to build my custom, on-brand quiz (with all of the bells and whistles) was no walk in the park. I was almost burnt out in my quest for a great quiz builder when I turned to my detective skills. After a bit of behind-the-scenes sleuthing, I realized that all of my favorite influencers utilized Interact. Interact makes it easy to build and customize your quiz (no coding knowledge necessary). It’s also outfitted with tools to gather important data on your audience, shedding light on their decision-making process along the way. Reflect on your expertise. What has your experience taught you about the transformation your audience has when they engage with your brand? What are their interests and insecurities do they have? What’s their thought process moving into the next stage of your relationship? Challenge yourself to capture that experience in your quiz. Look to your audience for answers. If you’re stumped, pin-point a specific person in your audience and ask yourself “What would they do?” Turning to a real person for confirmation might help you to gain direction and trust your judgement. Just do it. You’ll learn about your audience through the analytics Interact provides. You can always revisit, revise, and implement improvements along the way. Hopefully, these tips give you a sense of momentum. You might be tempted to start drafting your ideas! Save yourself a little extra leg work and start with one of Interact’s pre-made templates. It’ll provide a solid starting point for direction and inspiration. I’ve used GIFs to create a step-by-step tutorial so you can start building your quiz below. If you haven’t already, sign up for an Interact account. Login in to your dashboard. Click “Create your free quiz.” Start with a template. Interact will prompt you to indicate your industry. I’m a professional graphic designer, but I’m using this quiz as a marketing tool to promote my business. 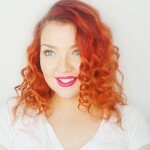 So, I chose blogging, business, and marketing! Next, you’ll be prompted to select your quiz type: Are you going to create an assessment, a personality quiz, or a scored quiz? Today, we’re focusing on personality quizzes. Interact will use your selections to generate a collection of templates available to help you get started. My quiz is a brand style quiz, so I chose to start with the template called: ”What’s your Brand Voice Style?” It addressed the exact topic I chose to cover. That template gave me some valuable direction. Now is the time to grab a sketch pad and do a little mind mapping. Use your template as an example and get started. Think back to the tips provided earlier: How do you take your audience from start to finish? What’s their decision-making process? What’s their experience like moving into the next stage of your relationship? Create a dialogue that helps them to relate to by speaking to their interests or soothing their insecurities with the insight you provide. In that process, I faced a challenge: How could I ensure accuracy? This was an important concern of mine. Sometimes, a unique problem requires a creative solution. I browsed through dozens (maybe hundreds) of social media profiles to classify a few categories of people included in my target audience. I took some notes. These “real-life” examples informed and inspired the personality archetypes I created. Anytime I drafted a question, I wrote a potential answer for each personality archetype. I took a look at the “real life” examples and the archetypes included in my personality quiz. Anytime I drafted a potential answer, I asked myself if the examples behind those archetypes might chose the answer I wrote. If it was unanimous, the answer was finalized. If it was questionable, the answer was reworked. Having “real life” examples to compare to helped me to check myself and rest assured I was achieving accuracy! Interact also offers some awesome resources. HERE is a list of 50-questions to help you get started. Interact offers so many great options to help you customize your quiz. Click “styles” to start customizing! You can implement your brand colors in the hex code fields. You can even animate your selections, upload your logo, and change typefaces with the help of my favorite free font provide, Google Fonts. I recommend all of the above! I was happy with my own tweaks, but I really wanted to integrate this quiz into my brand in a big way. I’ve included a few tips for taking customization one step further in the section below. Embedding an Interact quiz on my website was easy! I simply clicked “Share & Embed” before following the step-by-step prompts. All I had to do was copy and paste the code provided into a codeblock. It was really simple. Use your own website to create a custom cover page. Click to embed your quiz and follow the dialogue. Select “Enabled” when Interact prompts you to enable or disable the Quiz Cover Page feature. Once that’s complete, your embedded quiz will skip the Try Interact cover page and start at the first question posed to your audience. To make it work, create two web pages: One with a custom cover of your design, linked to the page hosting your embedded quiz. Create visuals for each result. Visuals can help to bring the results of your personality quiz to life! Create icons, symbols, or avatars to help quiz takers identify with their results. Include a button to retake the quiz. Your audience might be so engaged with your quiz, they feel excited to share it with the person next to them or take it a second time. Be sure they have the option! Include a button to start over again. Include a button to return home. Similarly, some viewers may not be ready to take the quiz. But, that doesn’t necessarily mean their ready to leave your website! Avoid a visitor bounce and give viewers an easy option to return to your website if the quiz isn’t what they had in mind. Integrating your quiz is an easy, step-by-step process! Click into the “Integration” option and follow the step-by-step prompts, as seen above. I use MailerLite to connect my quiz to my email list. Interact provides a tutorial, depending on your email marketing software of choice! Once I connected Interact and MailerLite, I created an email filled with resources and takeaways for each personality archetype (aka, the result). Interact tags each quiz taker with a result tag matching their result. Anytime a quiz taker is added to my email list, I use MailerLite to trigger a email all about their brand style type followed by a brief welcome email letting them know what they can expect from me. I’m always tempted to overthink things, but integrating my quiz was seriously that easy! You don’t have to be Sigmund Freud and you don’t need a million followers to build a quiz that converts. Utilize the right tools, be mindful of your brand, consider some strategy, and count on your own expertise. 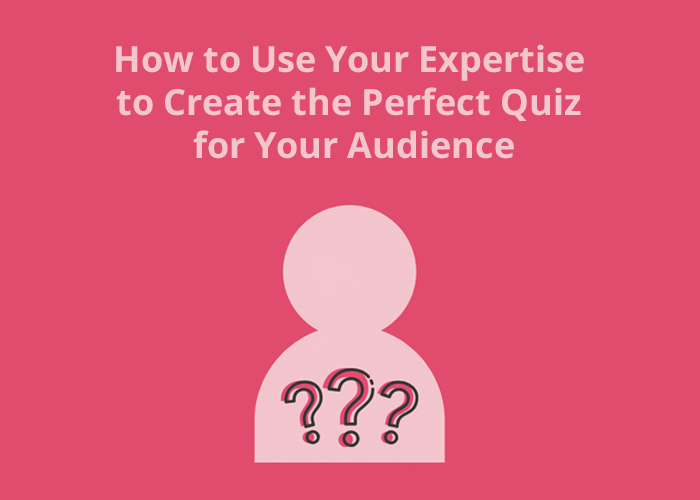 Implement these tactics to build a quiz like the pro’s. If you haven’t already, login to Interact and get started creating your free quiz HERE. Create your own personality quiz now! Allie Bitner is the owner and designer behind Kiss Creative, a graphic design agency specializing in brand design for entrepreneurs. She’s helped dozens of business owners with design, strategy, and direction – inspiring confidence, conquering consistency,and generating recognition. Her knack for nailing personal style inspired her to write her own Interact quiz called “Define Your Brand Style”. If she’s not behind her computer, Allie’s sipping cold brew and studying business in Boston, MA.